all in one monthly price! 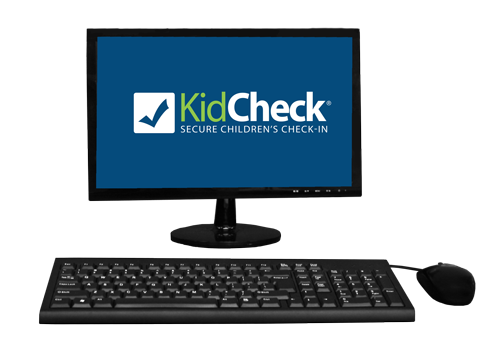 In addition to easy-to-use children’s check-in software – KidCheck also offers equipment such as complete check-in stations, computers & supplies such as printers, scanners, keytags & labels to enhance the check-in experience. 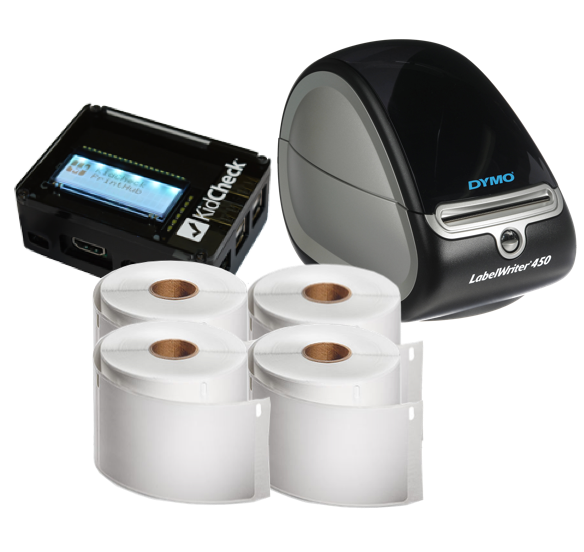 Includes a DYMO LabelWriter 450, a KidCheck 2D scanner for scanning name and guardian badges or QR codes from smartphone/digital screens, and a 4 pack of labels. 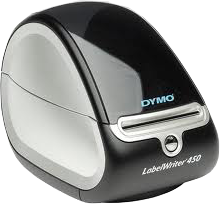 Remember cleaning pads to keep the printer working properly and key tags or custom key tags for a fast check-in/out option. 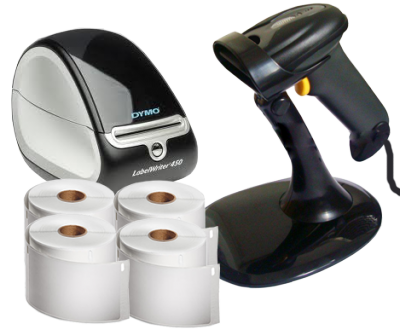 Pack of 4 rolls of 300 labels for use with KidCheck. 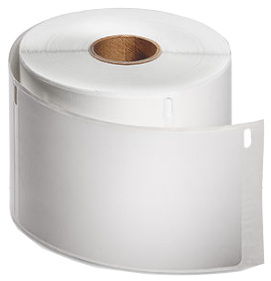 Pack of 36 rolls of 300 labels for use with KidCheck. 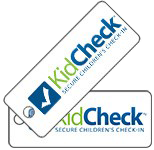 Purchase KidCheck key tags for the parents/guardians checking children into your facility. 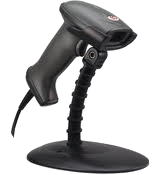 KidCheck barcode scanner also available. KidCheck labels sold separately. Also, don't forget cleaning pads to keep the printer working properly. 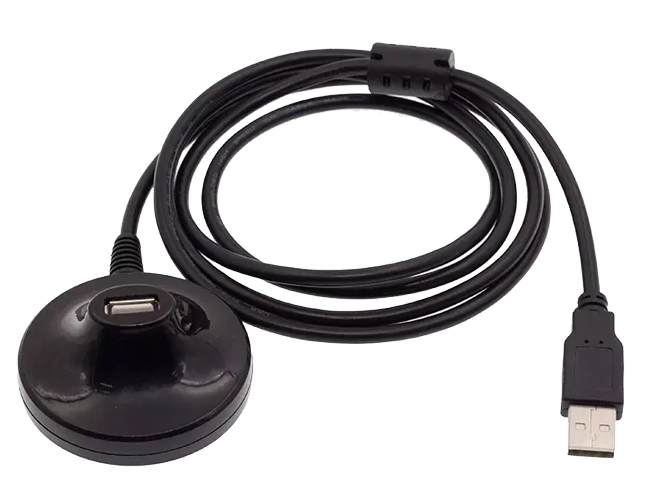 Fast, dependable 2D USB laser scanner to scan barcodes on name and guardian badges and QR codes, including from digital screens, for fast and easy check-in and out. Remember KidCheck keytags or custom keytags with your logo are available. 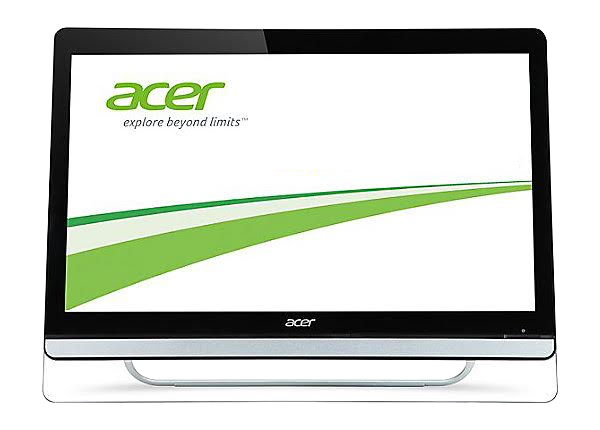 Check-in is fast and easy with this 21.5” LED touchscreen monitor. It features full HD 1920x1080 resolution, 8 ms response time, and VGA and HDMI inputs for an intuitive, affordable touch experience. 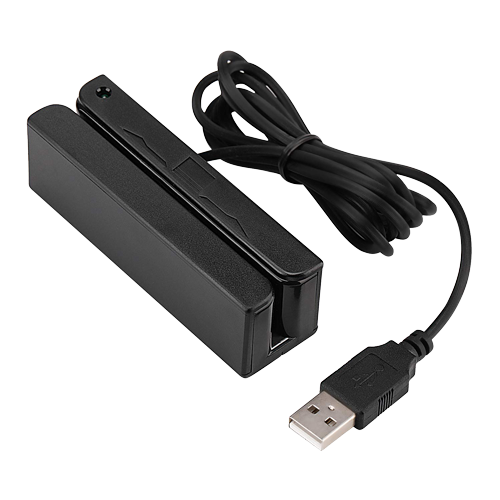 A USB magnetic swipe card reader for use with the KidCheck Check-In Passes system. 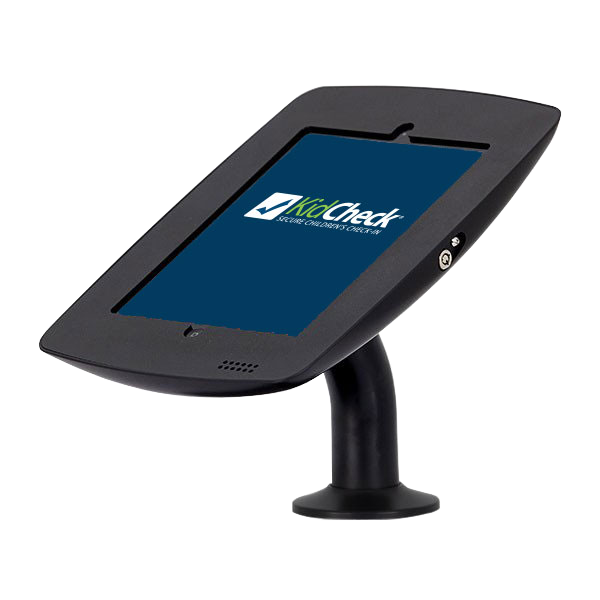 Allows guardians to swipe their debit/credit card at the check-in station for quick and simple Check-In Pass purchases. 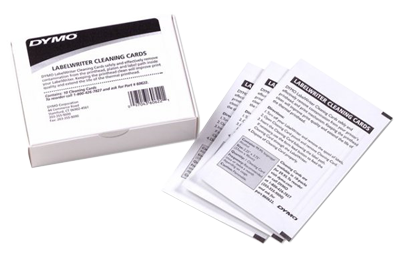 10 Pack of cleaning pads for your DYMO printers. Cleaning is recommended once per month to keep printer working properly. 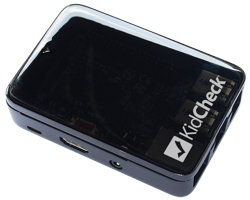 This wireless adapter is plug-and-play ready to use with the KidCheck PrintHub 3. 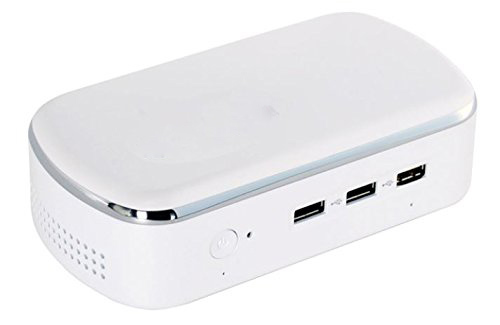 It features dual-band wireless connectivity for 2.4GHz or 5GHz networks, and can connect at speeds up to 433 Mbps, and offers an extended wifi range for increased flexibility. Note: This item is included with a purchase of the PrintHub 3. 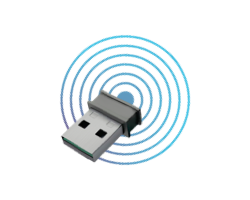 This wireless adapter is plug-and-play ready to use with the KidCheck PrintHub 1 and PrintHub Express. 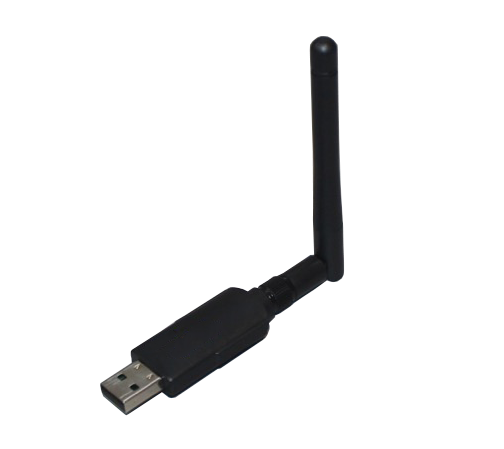 It can connect at speeds up to 300 Mbps, and offers an extended wifi range for increased flexibility. Note: This item is not needed with the purchase of a new PrintHub 3. 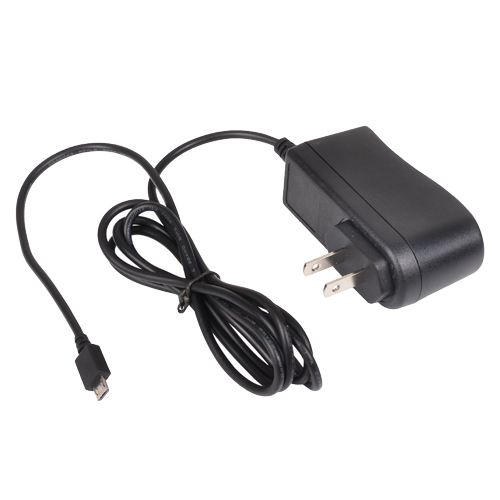 A replacement power supply for use with the KidCheck PrintHub, PrintHub Express and PrintHub 3. 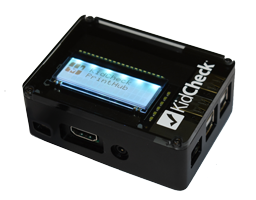 Note: this item is included with the purchase of a KidCheck PrintHub 3. 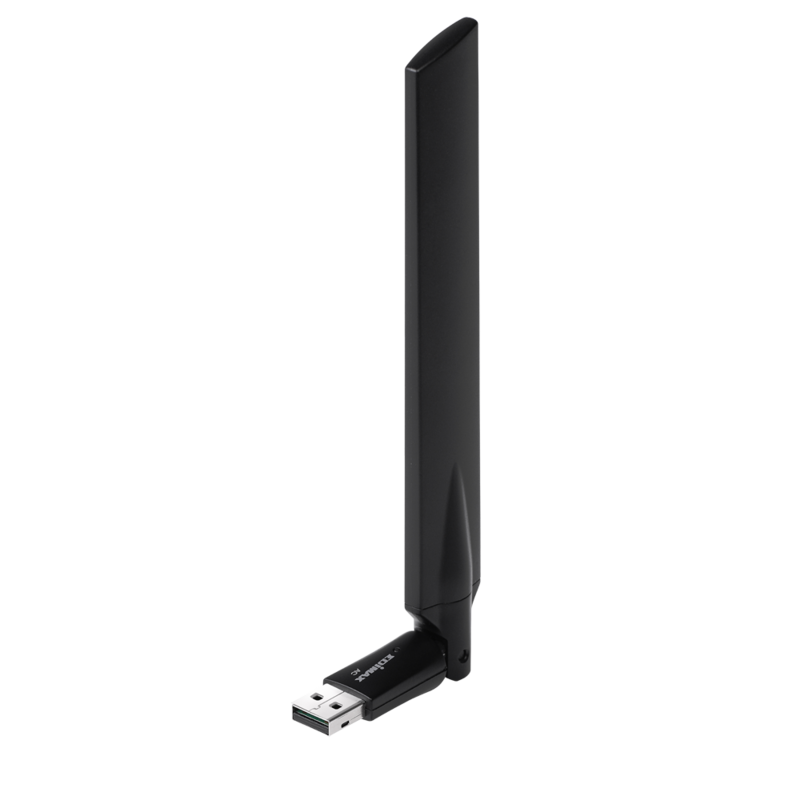 This USB extension makes it easy to position the Wifi antennae in an optimal location. 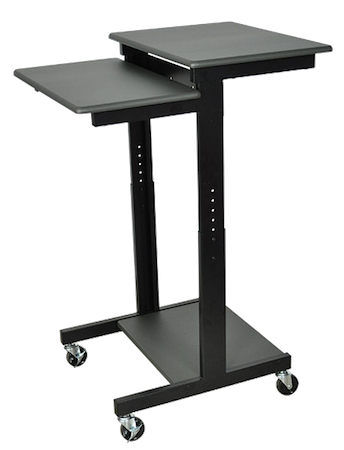 Compatible with the KidCheck PrintHub, PrintHub Express, and PrintHub 3. Send in your damaged PrintHub / PrintHub Express device for a motherboard replacement. Please contact KidCheck support before ordering. 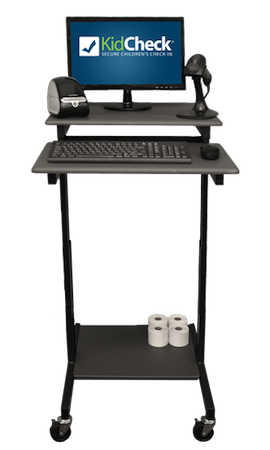 Send in your check-in station computer (purchased from KidCheck) for a hard drive storage capacity upgrade.